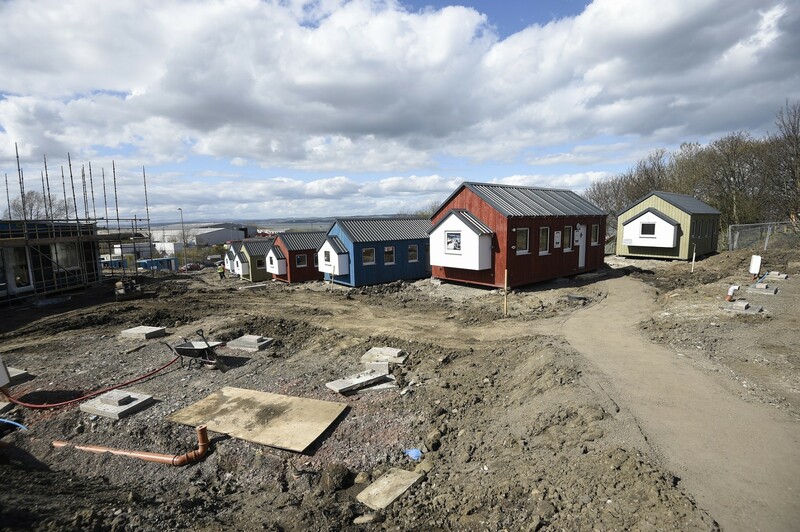 Robertson Construction have completed work on Edinburgh’s Social Bite Village, a cluster of 10 two-bedroom homes designed to alleviate homelessness in the city. The contractor undertook civil engineering and enabling works for the project on a pro-bono basis, including groundworks, roads and hard standing for each home. Tony Fry, managing director of Robertson Civil Engineering commented: “As the units were very lightweight, the groundworks strategy involved clearing the site before carrying out an extensive cut and fill exercise to platform the site for the units to sit on prior to building the civil engineering infrastructure to service the village. 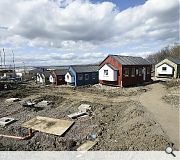 Each home has been designed by Tiny House Scotland to house up to two people, with the first residents set to receive their keys in May. Nice idea, hard to argue with the intent......but, terrible, terrible design. 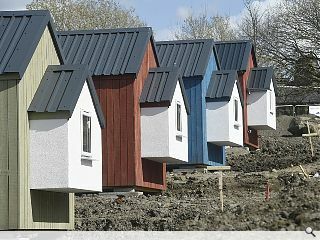 They look like portacabins with very strange appendages. Surely they could have come up with better than this? Simply wonderful in every way. Micro-living is design of the highest standard and good to see a commercial organisation like Robertson Construction doing the work. More of this, please. Again and again and again. I am sure the designs will be customised in time and through use as homes. totally agree with #2. great to have some positive news. The first image looked excellent in its use of reputation, colour and form. 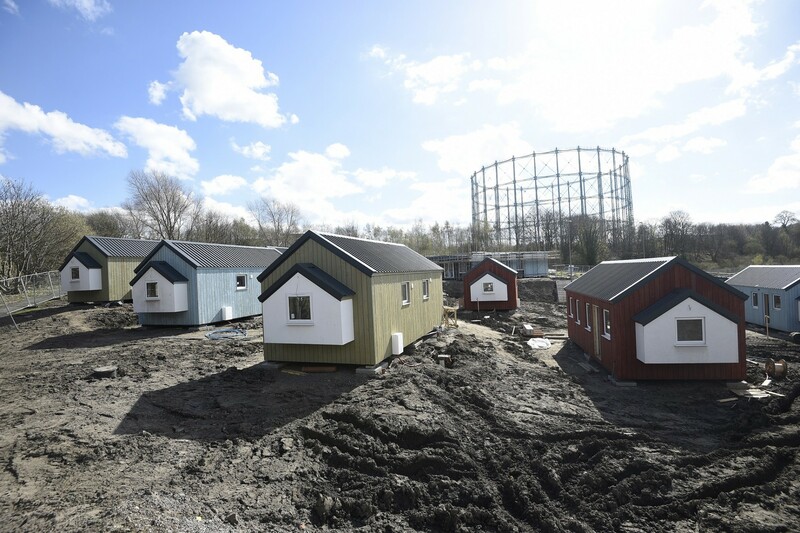 The other images make the development look a mess: randomly placed caravans with roofs. Shame as this could be an excellent piece of work if designed and landscaped better. The same design could be used for homes for older people. A glass gable, opposite the white overhang gable, opening out to a wooden patio in nicely landscaped gardens would look great. Just a would guess Sven, but I suggest that the landscaping isn't completed yet? 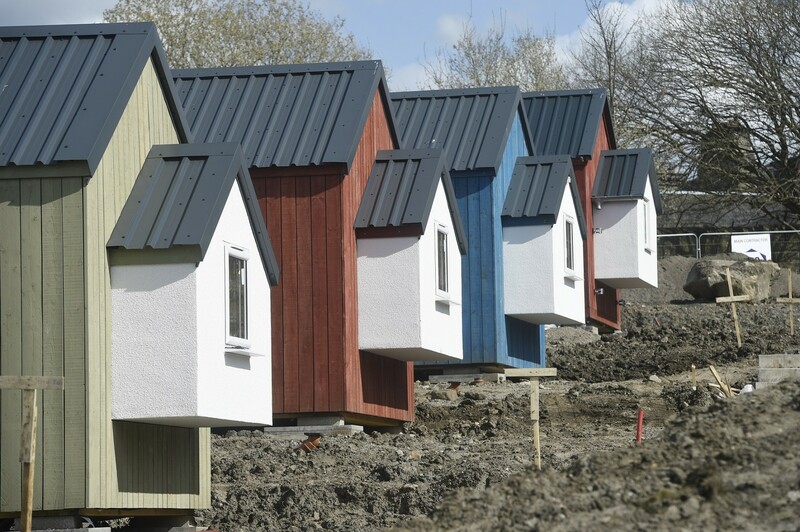 As for looking like caravans and portakabins, its hardly surprising. These have been designed and honed for decades to provide the most efficient, deliverable solution. TBF, wouldn't look out of place in Tromso. Well done Robertson. Its good, but its not bonny. I admire the aspirations and quite like the design solution. From social perspective from the other had... isn't it creating a ghetto? "Classed" developments failed before. Lesson not learned? I walked past this development at the weekend. 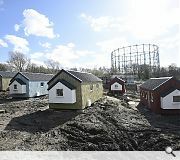 It definitely looks like a caravan park and it will most certainly be regarded as a "ghetto". With its general layout and communal living building it seems a very introverted concept. Wrong site, miles from anywhere, not integrated, wrong concept. A huge missed opportunity. At least the buildings can get moved and sold I suppose. #5 This is NOT a caravan park...people that's the point you seem to be missing. There is more to architecture than coloured paint.